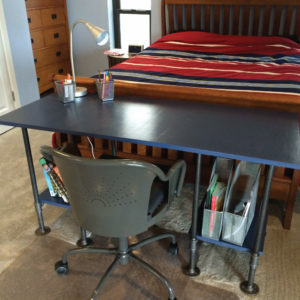 My friend Jenni was tired of her kitchen table being overtaken over by her son’s homework on a daily basis. 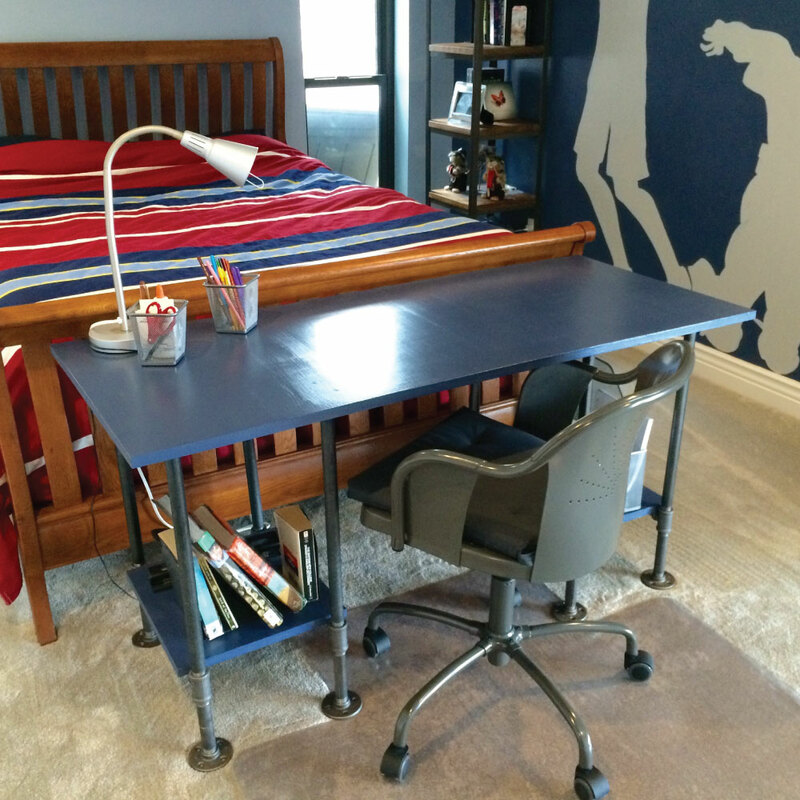 I incorporated the color of a mural in his room for the desk’s top and used plumbing pipe to mimic the industrial feel of a bookshelf already in his room. 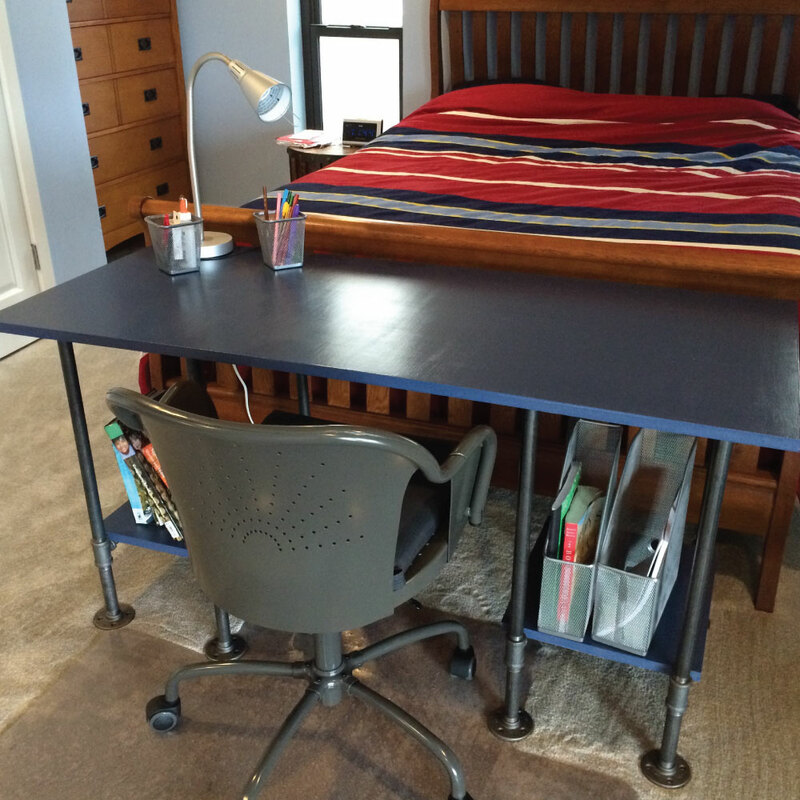 Now Jenni’s son has plenty of room to do homework in his room (and a few shelves for storage) and she’s reclaimed her kitchen table for meals!